The editorial board of The Daily Pennsylvanian is extremely disappointed with its fellow students! 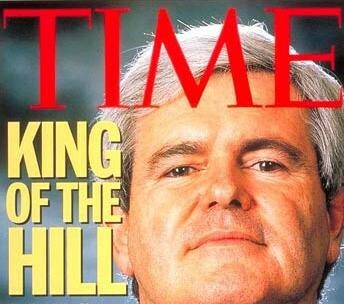 You see, “A group of students stormed out of Irvine Auditorium in protest while [Newt] Gingrich was still speaking. One of them shouted as he left.” HOW UNCOUTH. What’s more? Someone called him a “salamander” and “some students hung posters of the politician’s face and some of his controversial quotes on doors of bathroom stalls and above urinals.” What in the world is going on at UPenn that these children are so remarkably measured and polite in their demonstrations against a visiting antisocial fraud-adoring grifter?